Mrs. Rosa Lee Cruthis Hedgecock, 96, of Climax, went home to be with her Lord and Savior on Saturday, May 06, 2017 at her home. Funeral services will be held on Tuesday, May 9, 2017 at 2:00 pm at Loflin Funeral Home in Liberty, with Pastor Mike Barrett officiating. Burial will follow at Gilmore Memorial Park in Julian. The family will receive friends one hour prior to the service from 1:00 until 2:00 pm. Born January 14, 1921 in Guilford County to the late Leaton and Mary Elizabeth Cruthis, Rosa was one of thirteen children. She was a long-time active member of Friendly Baptist Church in Climax where she sang in the choir, was part of The Friendly Four Quartet, taught vacation bible school, and served on the hospitality committee. Rosa was no stranger to hard work, and liked the simple things in life, such as going fishing every chance she got and several of her grandchildren loved to go with her when they could. She was an excellent cook, and every summer you would find her canning or freezing produce from the family garden. Rosa loved spending time with her family and always made time to baby sit her grandchildren whenever needed. In addition to her parents, Rosa was preceded in death by her husband of 73 years, Lester Hubert Hedgecock; a son, Larry Hubert Hedgecock; a daughter, Shelby Jean Pierce; a great-granddaughter; and all 12 of her siblings. 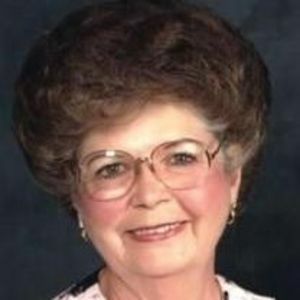 Those left to cherish her memory include her daughter, Brenda H. Sells (Steve); sons, Buddy Ray Hedgecock and Jimmy Darrell Hedgecock, all of Climax; 14 grandchildren; 28 great-grandchildren; 18 great-great grandchildren; and a host of nieces, nephews, cousins, and other extended family. Rosa's constant prayer and desire was that all of her loved ones knew Jesus Christ as their personal Lord and Savior and that someday everyone would meet her in Heaven where she will be waiting at Jesus feet. Memorial contributions may be made to Community Home Care & Hospice 533 S. Fayetteville St., Asheboro, NC 27203 or to Pleasant Garden Baptist Church 1415 Neelley Rd., Pleasant Garden, NC 27313. Online condolences may be made at www.loflinfh.com.